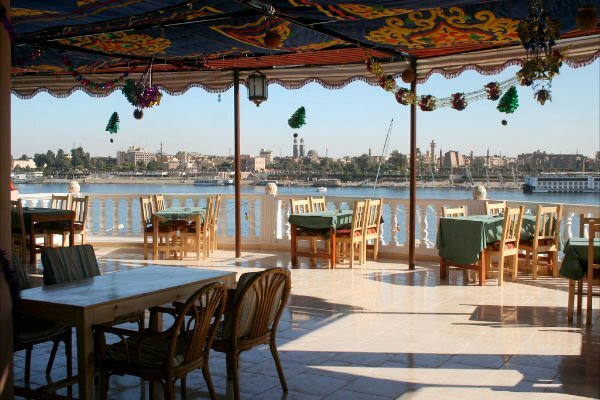 El Mesala Hotel’s restaurant is located on our newly built roof terrace overlooking the Nile, East Bank, and West Bank mountains. 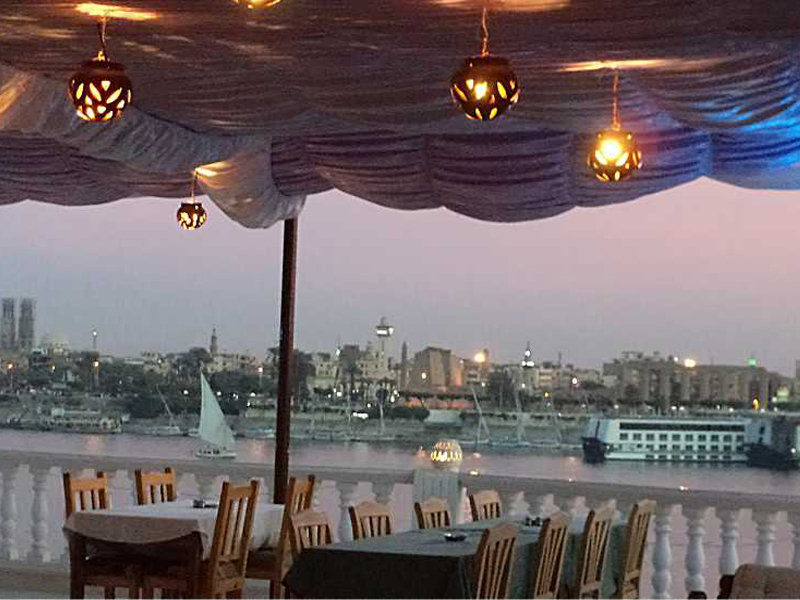 Whether guests wish to enjoy one of our delicious Egyptian dishes or simply relax with a cup of tea, the stunning views of the ancient Luxor Temple and peaceful Nile waters are the highlight of any visit. 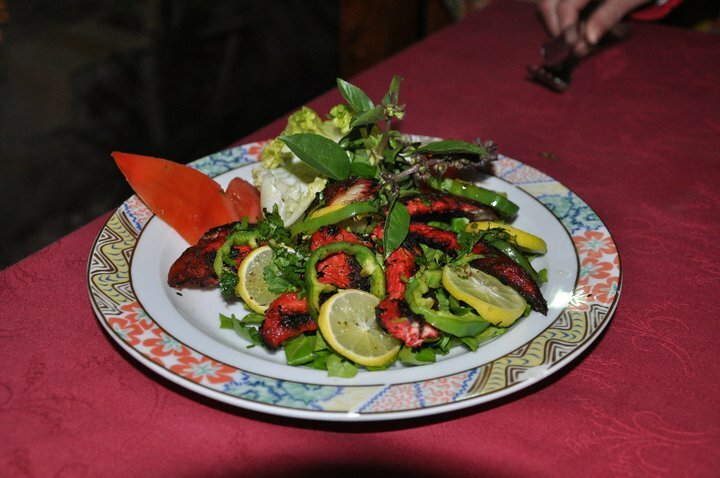 Our menu has both traditional Egyptian and international dishes to fit every taste. 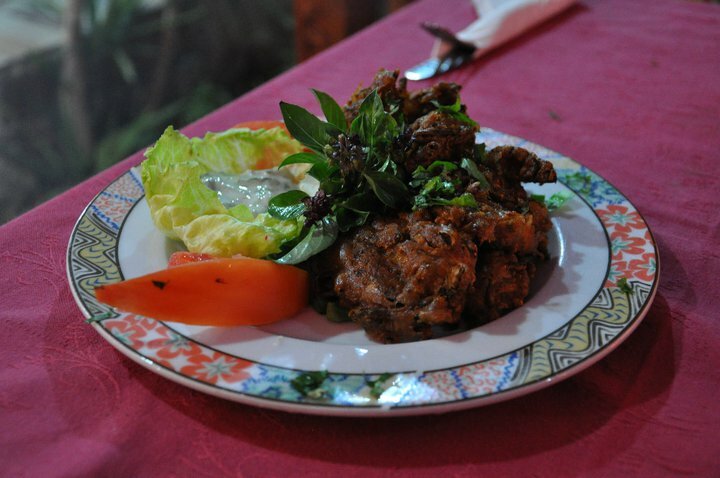 All of our dishes are made with fresh, locally produced ingredients from quality suppliers. Every day, our guests can enjoy their delicious breakfast either with the terrace’s beautiful views or on our ground floor patio close to the swimming pool. 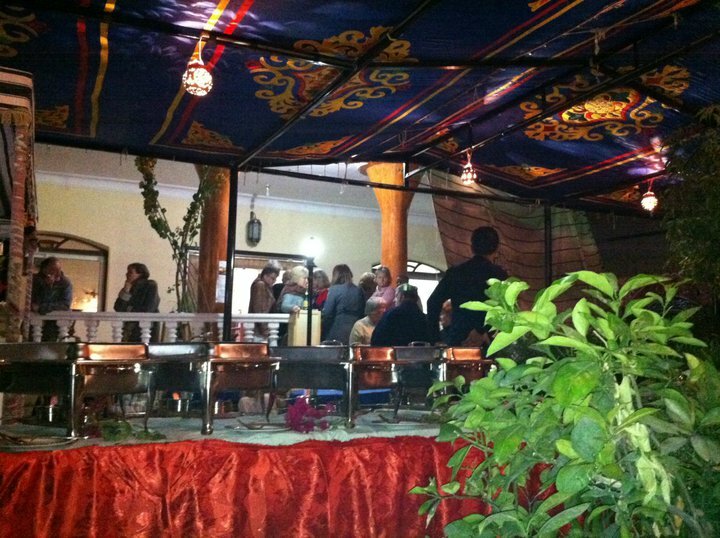 Our restaurant is also the venue for our exciting holiday parties with an open buffet and traditional Egyptian folkloric entertainment. We are happy to accommodate large groups and parties. 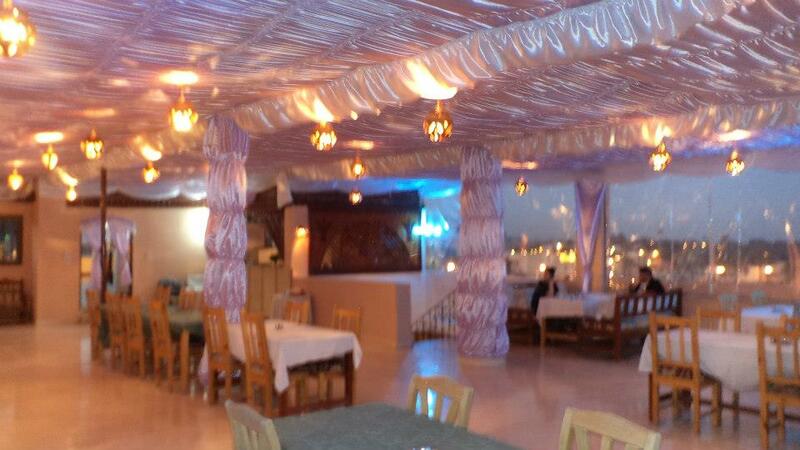 Please contact us if you wish to host your own event in our restaurant. 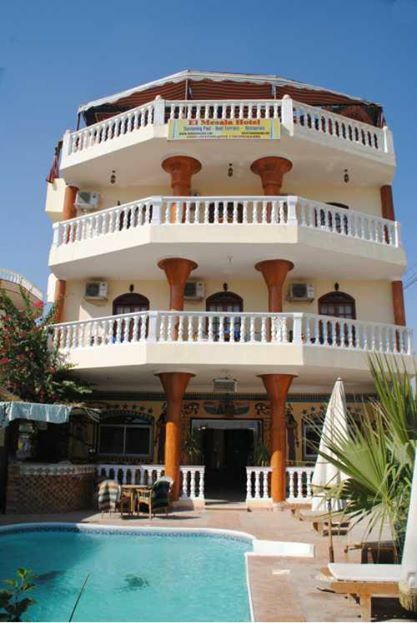 Whether you are a guest at El Mesala or residing in a different hotel, we would be happy to welcome you into our restaurant and share our delicious cuisine and unforgettable view.